The Cyber-Physical Systems (CPS) Research Group at School of Software, Dalian University of Technology (DUT) conducts interdisciplinary, application-driven academic research in the broad area of cyber-physical and social computing. Our research focus is on enabling technologies, including networking protocols, computing algorithms, and software platforms, for building systems that bridge the Cyber, Physical, and Social Worlds. The target application areas of our research cover e.g. healthcare, energy, consumer electronics, transportation, automation, and education. We are opening 2-3 PhD student positions in related fields, including e.g. CPS, wireless networking, mobile computing, ubiquitous/pervasive computing, internet of things, vehicular networking, and swarm intelligence. All positions will be coupled to full Government scholarships. Basic living allowance will be 2,000 RMB/month, plus Comprehensive Medical Insurance and Benefit. The scholarships are exempt from registration fee, tuition, and fee for basic learning materials. Accommodation on campus will be provided for free. 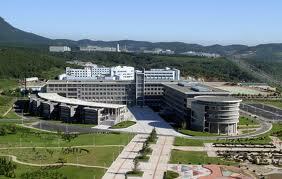 The University will offer excellent working conditions. Applicants must be students who study in foreign countries. Applicants shall have a master`s degree in Computer Science/Engineering, Electrical Engineering, or related discipline. Applicants must be under the age of 40. A good command of the English language (in speaking and in writing) is required. Before submitting the full application (to the University), each potential applicant should first send an initial application via email to Feng Xia ([email protected]). The application should include a detailed CV (including email addresses of two referees), a statement of research experience and interests, and a scientific document written by yourself (in English). The deadline for applications is 28 February 2011 or until the positions are filled. Only a few candidates will be shortlisted for full application. Interested applicants are highly encouraged to submit their applications as soon as possible.